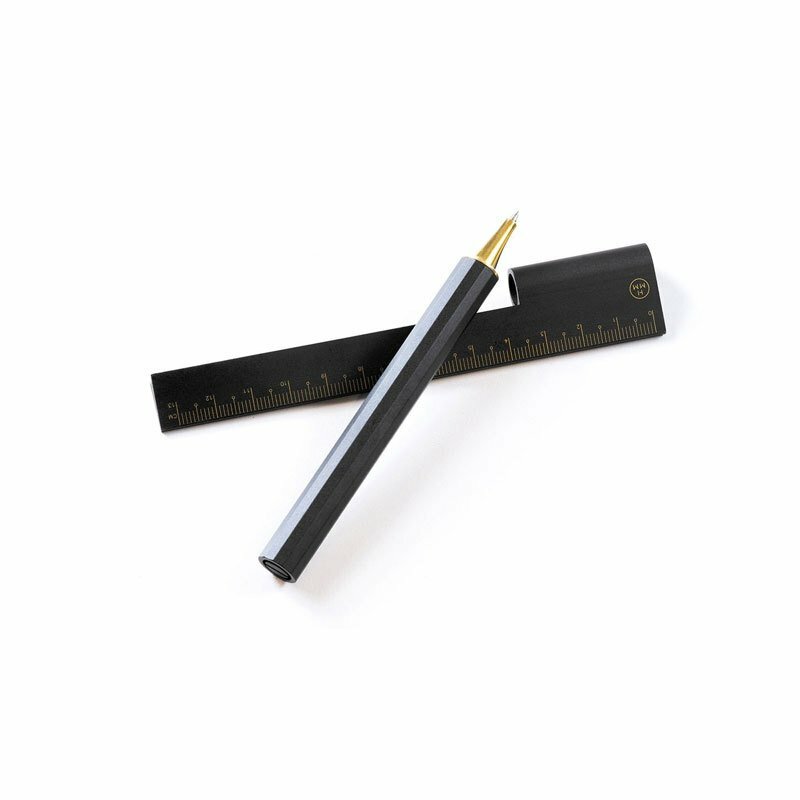 HMM's finely crafted pen-ruler hybrid is a multifunctional on-the-go tool.Both a pen and a ruler, it includes interchangeable heads so it can be used on paper and tablets. Thanks to its convenient size and unique droplet shape, Rule/One will fit perfectly into your notebooks and can also be used as a bookmark. Sleek and sophisticated, Rule/One is the winner of the Red Dot Design Award 2015. Black/Gold model available in a limited edition of 100.